in March…We held a special show of “legend series” in Shibuya Quattro with legendary Kiyoshi Matsutakeya as a special guest. This event collected the big topics. in September…The Second “WAI WAI FESTIVAL” at Hibiya Music Bowl, was given to nice weather and greatly succeeded. Gorgeous, cool guests are : EGO-WRAPPIN’ / GONTITI / Kazufumi Kodama / Kiyoshi Matsutakeya / PJ / Kenji Jammer / Rankin Taxi / Icchie / Tetsu Nishiuchi …ETC. in October…We played with Sim Redmond Band as a Jam Band from U.S. at Aoyama CAY. in?December…Customary Christmas Live at Daikanyama UNIT was also large flourishing. Likkle Mai & The K , Icchie were invited as the guest. Besides this, we performed to a lot of festivals of the whole country. And made spectators exciting! 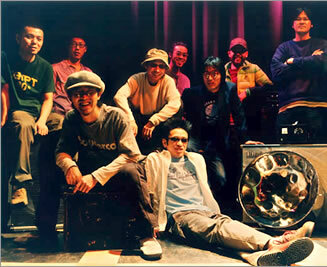 As new releases in 2009, Sunshine Love Steel Orchestra released their 1st Album “Sunrise”. This Steelpan Trio is formed with 2 pan men from Little Tempo and Yumiko Ohno from worldwide known rock group “Buffalo Daughter”. ?Little Tempo presents “WAI WAI Festival 2008″ was released as DVD movie. This is a release from their own “Sunshine Records”.